National Young Farmers Coalition | Heart and Grain: Big farms require big equipment. And lots of money. Along with blood, sweat, and tears, farming requires a significant financial investment, and grain farming is one of the most capital-intensive types of farming. To support a small family, a grain farmer typically needs hundreds of acres of land, tens or hundreds of thousands of dollars in machinery and infrastructure, and an equally large amount of cash to cover annual costs like seed, fertilizer, fuel, and repairs. It is common for family grain farms to span more than 1,000 acres. Even at this seemingly large scale, most grain farmers need an additional, off-farm source of income just to make ends meet. I’ve noticed that people unfamiliar with grain farming sometimes perceive these larger-scale farms as corporate or “factory farm” operations. However, when it comes to grain farming, that simply isn’t the case. I have two neighbors, a father and son, who farm roughly 2,000 acres together. They don’t have any employees—it’s just the two of them. Their farm supports the father, the son, and his family. Yes, 2,000 acres is a substantial amount of land, but it’s the scale at which most grain farmers have to operate in order to make a living thanks to small profit margins. In some cases it’s possible to make a living growing grains with fewer acres, which is what I’m trying to do on my own farm. By diversifying, growing specialty crops, finding unique marketing opportunities, and becoming certified organic, I hope to add value to my crops, becoming more profitable without expanding rapidly. Even if I wanted to expand my farm, it wouldn’t be easy. The fact that having a large farm is a necessity results in high demand for land, making it difficult to find land to rent or purchase. Farmland in my area regularly sells for $5,000-10,000 per acre, sometimes more. That means 1,000 acres of prime farmland at $10,000 per acre would cost $10 million dollars. This is the high end of the spectrum, and most grain farmers rent a large portion of their land, but it serves to demonstrate the massive investment required. I’m currently farming 160 acres of my late grandparents’ farm, which I rent from my mom and aunt. I am incredibly fortunate to have access to land that I can rent during a time when competition for farmland is fierce. Although when the time comes, it may be difficult for me to expand. I didn’t grow up on a farm or in a farming community, therefore I don’t have many relationships or connections with other landowners. 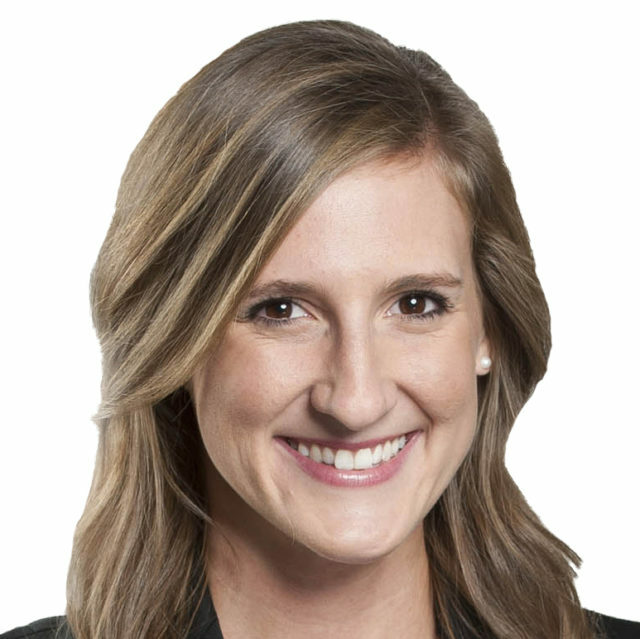 This makes it harder to find new land to rent or buy. As the need to farm more land has increased, the machinery required to farm has also grown in size. Large tractors, implements, and harvesters make it possible for small families to farm a lot of acres. However, the cost to purchase this equipment is very high. My newest tractor is more than 30 years old, but it serves me just fine for now. New tractors and harvesters cost hundreds of thousands of dollars, not to mention the on-farm facilities required to shelter, maintain, and repair these large pieces of equipment. Most grain farmers also need large grain storage, handling, and conditioning facilities. Adequate grain storage is particularly important for organic farmers. Conventional, non-organic farmers usually have a grain buyer close enough to their farm to allow convenient shipping from the field directly to the buyer at any given time. They can harvest the grain, load it onto a truck, and drive it to town on the same day. But organic grain buyers are few and far-between. As a result, organic farmers often have to sell their grain to a buyer much farther away or in an entirely different state, which necessitates storing it all on the farm in the meantime. Since I’m currently transitioning to organic, I’m not yet able to sell my grain at certified organic premium prices. During harvest I take my grain to town and sell it at the lower conventional prices. I will have completed my transition to certified organic by next year’s harvest, so I’ll need to put up a new, 20,000-bushel grain bin and drying system in order to capture organic premiums. As if all of those expenses aren’t enough, there are still annual operating costs to consider. As I write this, I’m staring at my list of expenses on my cash flow projections for this year. Things like seed, fertilizer, fuel, and repairs top the list. Crop insurance is a big one, too, followed by equipment, auto, and liability insurance. Combined with annual land rent or purchase payments, the cost to produce most common grain crops reaches hundreds of dollars per acre every year. These costs need to be paid for with cash on hand or cash provided by an operating loan that can be paid back after harvest. I was able to secure an operating loan from a bank last year but have had difficulty doing so this year. I’ve turned to the USDA Farm Service Agency (FSA) for this year’s operating loan, and I’m waiting to see if they will lend me enough money to cover this year’s expenses. I’ve found the FSA to be a great organization to work with, and I’m optimistic about getting a loan from them. 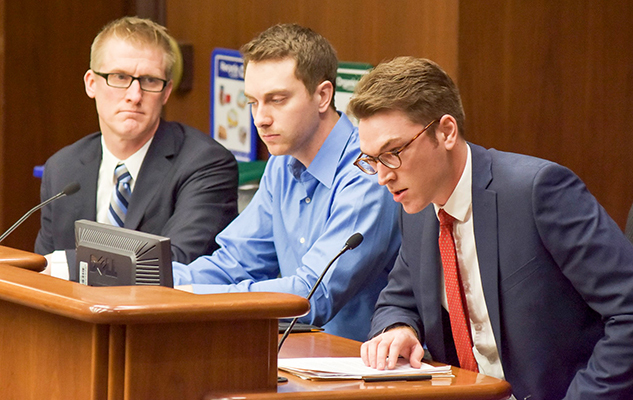 CMNYFC members Andrew Barsness (center) and Matthew Fitzgerald (right) testifying before the Minnesota House Agriculture Policy Committee in support of the beginning farmer tax credit bill alongside Representative Nels Pierson. The Central Minnesota Young Farmers Coalition (CMNYFC), the newly formed local chapter of the National Young Farmers Coalition (NYFC), has been working hard to reduce some of these barriers to entry that young and beginning farmers face. Specifically, we’ve been working to pass a bill in the Minnesota State Legislature that would make beginning farmers more competitive. The bill would be the first of its kind in the entire country and would provide a tax credit (and thus an incentive) to those who sell or rent agricultural land and assets to beginning farmers. So far the bill has had tremendous success, although it recently reached a critical stage in the process and is in need of additional support. For more information on how to support this bill, email the CMNYFC at cmnyfc@gmail.com. The financial investments necessary to make a living as a grain farmer are truly extraordinary, but that doesn’t mean that it can’t be done. You don’t need to start with 1,000 acres! You could start with 10, or one for that matter. Find a farmer looking to retire who may be interested in working with you in some way (like John and Halee did!). Farm on the side while maintaining a job in town. 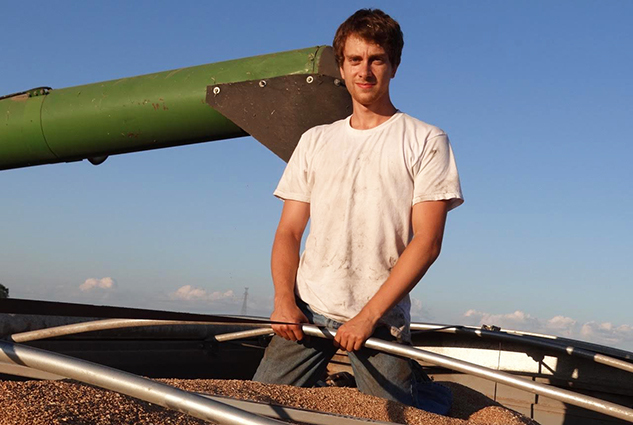 Take advantage of programs that make it easier to get into farming. It’s just a matter of finding the right path. Despite the difficulties, I would not discourage people from farming if it’s something that they truly want to pursue and commit themselves to. Farming offers an idyllic and unparalleled way of life, providing freedom, variety, and creative opportunities that most people can only dream of. I enjoy the physicality, entrepreneurship, and ability to work in and alongside nature. I find myself waking up with exhilaration, eager to step out the farmhouse door into what feels like paradise. There’s nothing that I would rather spend my life doing.